Thank you for your prayers, encouraging emails or texts, and unimaginable generous financial support. Thank you for allowing you and your family to be used by God to be launched into His missions in Liberia. On March 24th we departed from Indianapolis, and arrived safely with all of our stuff in Monrovia on March 25. We spend four days in Monrovia and took care our car’s registration and insurance. On Friday, March 29, Yah and I arrived in Gompa, and have settled in very well. Our Liberian team and many friends were already awaiting us at our house to welcome us home. They brought food and told stories about the work, the challenges, and the fun they have had. They told stories about their families and community politics. We hugged, laughed, talked and had fun until midnight. It is just an incredible blessing from the Lord to have people love us. The next day, we had a brief meeting with our staff and construction team, reviewed the work and jumped right in. As always, this time of the year, the scourging heat is relentless, but our team is unstoppable. From April 1 through the 15, we have worked extremely hard and achieved the following: the foundation preparation is nearly ready, and we expect that to be finished by Wednesday this week. Also this week, we plan to hire 38 workers: 8 skillful concrete masons and 30 helpers for the casting the foundation, which is expected to be completed in ten days. Thank you for your prayer and generous financial support. Your current financial gifts will allow us to purchase 3,000 bags of cement (50 kg each bag). This means, we are only 1,000 bags short of reaching our goal of the 4,000 bags of cement estimated by the engineer to complete the entire casting of the 16,900 square foot foundation. We are now awaiting the arrival of cement from Monrovia by trucks in order to get the casting done. Thank YOU! Yah and I and our team are praying for you and your family as you celebrate and worship our Lord and Savior this Easter weekend! Sei & Yah under the mango tree. Patrick Nunkpah, a CLTI’s sponsored student at United Methodist University. He is a biology major in his third year, and his dream is to become a medical doctor. He came over to visit us, and YOU paid his school fee, and and we sent him off with our prayer as he returns to Monrovia this weekend. The first discipleship group we visited when we arrived. The group meets every Wednesday in one of the communities we serve ( Valley community). The group is led by our team leader, Jefferson Polay far in the back. David Lankah from Warrenville, IL. with Sei and Yah. David and his wife Cecelia have lived in the US since 1995. He is retired, and he and his wife are visiting Liberia for six months. He decided to come serve as a short term volunteer with CLTI in Gompa. David is 75, but strong and willing to serve in any role assigned to him. Compacting the soil in preparation for pouring the foundation. The last several months in the United States have truly been a blessing to us as we met old friends and new, visited with our family, and spread the word about our ministry to the people in Liberia. It culminated with a wonderful 3-day Aquaponic Master Class in Montello, WI. This class prepared us to us to begin our aquaponics farming project, which will help provide an ongoing financial resource to CLTI. Sei marks the country of Liberia on the world map during the Aquaponics Master Class. We are called to serve with Christian Leadership Training International with three-fold focus. First, discipleship, drawing young men and women to discover the Truth, and mature in Christ. Second, entrepreneurship, provide training and providing seed fund to women to start of expand their business and provide for their children. Third, education, conducting an after school study program for high school students to prepare them for college entrance exams, and constructing a college preparatory high school. Tomorrow, March 24th, at 2:30 P.M. Yah and I will board a flight to Liberia for one full year special assignment. During this year, our prayer is that we can complete construction of the faith-based college preparatory high school that is so vitally needed in Nimba County. Members of the CLTI team met recently in Carmel, IN to plan for 2019. We are writing today to invite you to become a partner in our second missionary journey to the 26thpoorest part of the world, West Africa! Your donation will not only bring discipleship opportunities to young men and women, it will also provide entrepreneurship opportunities for underprivileged women, and aid in the construction of a high school focused on academic preparation for college in a faith-based environment. Your partnership means so much to us as we begin our journey back to Liberia. Please consider donating today by clicking on the “Donate” tab above. Thank you, and God Bless you. As time is growing closer for Sei and Yah to return to Liberia, they are busy tying up loose ends here in the States. Also, Sei is preparing to go to Wisconsin on the 13th of this month to attend a 3-day master class in aquaponic farming along with Rich Rath, our aquaponic designer. This class will prepare Sei to effectively manage the aquaponic farm as soon as it is set up, and also teach others how to be aquaponic farmers. This is a project that will start to bring income to the school with the first harvest of fish and vegetables. We are so excited about this project! In the meantime, please have a look at our new video. Some of the material will be familiar, but there is lots of new content, and we hope that after watching, you will be inspired to make a donation to Christian Leadership Training International so we can continue the work that has been started. Every shovel full of dirt that has been moved, every brick that has been laid, every batch of concrete mixed, has been accomplished because someone made a donation. You can become part of this exciting story. Please help us keep the construction going. Below the video, you will find a few new photos that just came in the other day to update us all on the progress of the construction of the new college preparatory high school. God bless you, and thank you for your support of CLTI. A Unique Opportunity Has Come Our Way! We have two new videos posted to YouTube! Click here to view our high school construction video, and click here to view our aquaponics video. Significant Training Opportunity–Your prayer is most needed. Our time in the States has been filled with family, friends, visits to churches that we have known for a long time, and some churches that are new to us. Each visit, each encounter, has been a blessing for us. God is good! We were expecting to tell you that we would be traveling back to Liberia on February 28. Now an exciting opportunity has come up which has caused us to delay our journey by about three weeks. It will provide our community in Gompa with a source of fresh fish and vegetables at a fair price. Currently 90% of protein and produce are imported from Guinea and China, making prices higher than they should be. This farming project will serve as a role model for individuals and other communities to learn about the benefits of aquaponic farming. This project will provide a recurrent income to CLTI once it yields the first harvest of fish and produce. Sei and Richard Rath (our aquaponic designer) will attend a 3-day aquaponic Master Class in aquaponic farming skills, offered by Nelson-Page in collaboration with the University of Wisconsin-Stevens Point from March 14-16. The Master Class is a comprehensive course that covers day-to-day management, growing techniques, water quality, fish biology, and plant care. This is the kind of knowledge we need to do effective farming from the first day! So we (Richard and Sei) will be heading to Wisconsin on March 13 to attend the class. We are very excited! God is blessing us in abundance with this opportunity! We look forward to letting you know how it goes, and updating you on our travel plans in March. In the meantime, look below to see recent photos of the progress on our high school construction, and meet some of the friends we have been visiting with as our time in the Staes draws to a close. We pray for you, as we hope you will pray for us. At the home of Dave and Louise Jaeschke (center), with Beth Petersen, Administrative Assistant at Northwest Covenant Church (left), and Yah (right). What a joy to see God’s had of blessing on the CLTI ministry because of your generosity! Thank you for partnering with us in 2018! Because of your gifts and prayers, we ended the year strong. That means in 2019 we will get right to work, and can continue working on the first premier college preparatory high school in the city of Gompa in a timely manner. Our monthly giving has increased as more people catch the vision of our goal to build our school and empower the youth in our community. New ministry team member: First of all, we welcome the newest member to our ministry team, Jill Kendrat. Jill is our new Treasurer and will manage all of our finances. Jill holds a Master’s in Business Administration from Ohio University, and has many years of experience. She has spent most of her time in the non-profit sector, and spends a few hours each week using her skills at the National Christian Foundation in Indianapolis. We are thrilled that she will also be helping us here at CLTI. Foundation of the building to be laid: We are preparing to purchase 2500 bags of cement needed to lay the foundation and ground floor. We thank God for the steady pace that we have enjoyed in the construction of this important building. of a college education. Amelia Kpoblie, our current administrator, will study accounting and finance at Liberia International Christian College. Jefferson Polay, a full-time discipleship staff member, will enroll at ABC University to study pastoral theology. Empowerment of women project: We will continue to provide entrepreneurship training and funding so that more single and vulnerable women can start a business venture, develop self-esteem and provide support and care for their families. Aquaponic farming project: In January of 2019 we received a generous grant from a CLTI partner that will allow us to set up our first aquaponic farming system. We will raise tilapia fish and fresh produce in a water-based, soil-less symbiotic system on our property. This will provide a source of future income for the school as well as provide a much needed food source for the community. Transforming spiritually, socially and economically in all areas of the communities in which we serve. To provide quality education to students, discipleship training to young adults, and entrepreneurship opportunity to underprivileged women. Our gratitude: Thank you for praying, for giving, and for continuing to partner with us to claim Liberia for Christ! Thank you for your support and prayers. Together, let’s ask the Lord to make us fruitful in His service. Please pray that the Lord will help us reach our goal of construction a premier college preparatory high school in Gompa, Liberia, and allow us to share the Gospel and disciple thousands of underprivileged young Liberians to find a bright future and the hope that is found in Jesus alone! Our college preparatory high school campus, with part of the aquaponics farming system in the foreground. We hope you are thinking about year-end giving to your favorite charities and we hope CLTI is on that list! With very low administrative costs, you will see your money go to work in a very quick and tangible way. We recently received a wonderful grant that will pay for the materials for our aquaponics project. This is a farming project that will provide an income to CLTI for years to come, but we now need the financing to pay labor costs to construct the farming system. These labor costs will be $12,500 for this project. Want to know more about aquaponics? Click here. We also are continuing to work on building our college preparatory high school, and every dollar put toward this project will bring us closer to opening a premier place of learning for the kids of Liberia. Our foundation is in, but we are in need of funds for cement and rebar to build the walls (concrete blocks have already been made.) Click here for more information about our building project. We are currently completing the back-filling of the foundation. Can you help fund these two projects? Your generous gift will be so much appreciated! You can donate by clicking the “Donate” tab above. Thank you, Happy New Year, and God bless you! This is the season of the birth of Christ! Rejoice and be glad! In this Christmas season, we hope you will consider making a generous year-end donation to Christian Leadership Training International so that our work can continue in 2019. In 2018 we began construction of a college preparatory high school in Gompa, Nimba County, Liberia. This school will address the needs of 1,200-1,500 students as they prepare for college admission. When we began our after-school tutoring program, Reaching for Academic Excellence, we were hoping to see an improvement in the number of students passing the mandatory college entrance exams. We had no idea that we would see a passing rate of 90% of the students who participated in the program. This is up from a passing rate of less than 40%. The college preparatory high school will serve thousands more students than the 800 students we have tutored each year. Recently, the foundation work on the school has been completed, and backfilling of the foundation is done. The next step is construction of the ground floor. We would like to start the ground floor construction early January. We are currently short on cement, sand, and steel rods (rebars). Won’t you help with a generous donation today? Your generous gift will enable us to fully fund the construction of the ground floor, and continue to completion. Or click on the “Donate” tab above to donate via PayPal using your PayPal account or credit card. It is easy, quick and secure. The foundation before backfilling. . .
. . .and after backfilling. In 1994, I flew from Gambia, a tiny nation in West Africa, to the United States but could not reach my destination of Holland, Michigan due to cash-flow shortage. I landed in New York City and with the assistance of a young Ghanaian student, Kingsley Gamfi, whom I mentored in Gambia, I was able to purchase a bus ticket to Holland, Michigan. The bus ride seemed to take forever, but many hours later I finally arrived in Holland. Upon arrival, my dormitory was not yet ready for me to move in, and so I temporarily stayed in a church guesthouse. On the table that night, I spotted a handwritten note welcoming me to America. The writer, Dr. Gordon Van Wylen, and his wife, Margaret, came by to greet and welcome me, but I had not yet arrived. In the note they promised to pick me up Sunday morning for worship at Christ Memorial Church (CMC). In Holland, I had my first American worship experience. That morning I was introduced to the senior pastor, Dr. Tim Brown, and then to the whole congregation. I began my pastoral studies at Western Theological Seminary and finished with my Master of Theology in Theological Studies in 1996. In 1995, my family was finally able to join me in Holland thanks to the sponsorship of Pastor Tim Brown and CMC. My wife and I became a part of a Bible study there, and the group graciously befriended and loved our entire family that led to a great meaningful relationship with one another in Christ. We were named the church’s missionary in residence and continued to build numerous relationships within the congregation. CMC became the first supporters of our ministry. We were able to raise additional support with their help for both our family’s living expenses and for my post-graduate studies at Loyola University, where I eventually received my Ph.D. in Educational Leadership and Policy Studies. They joined our support team to help me fulfill my vision to build Liberia International Christian College in Liberia (LICC). Why is this a new beginning? On this past Thanksgiving Day, Nov. 22, 2018, my wife and I were back in Holland, Michigan. We were once again celebrating Thanksgiving with CMC just like we did when we first arrived 24 years ago! Christian Leadership Training International was selected to be one of the organizations to receive CMC’s annual Thanksgiving offering gift. This offering will cover the expenses of building CLTI’s Aquaponic Projectsituated next to the college preparatory high school currently under construction in the city of Gompa, Nimba County. This really is a new beginning! We had a delicious Thanksgiving dinner with Rich and Jean Schreur, and their son, Craig. Twenty-four years ago, Jean and Rich were a part of our Bible study group, and we have not seen each other since that time. God reconnected us in Holland as this godly couple invited us to their home for Thanksgiving dinner. We were also hosted at the home of Dr. Jolee Wennersten whom we first met when we arrived at CMC. She states that she will never forget us talking to the church when our family arrived in the USA. That was one of the reasons she joined the church. Yah and I are so grateful for you, Christ Memorial Church! You are a valuable part of our newbeginning to now bring the gospel to thousands of young men and women in Liberia and around the globe. Your faithfulness makes a pathway for Liberians to hear the gospel in a way they understand. “I thank my God in all my remembrance of you, always offering prayer with joy in every prayer for you all, in view of your participation in the gospel from the ‘FIRST DAY’ until now” (Philippians 1:3-5). Similarly, I am thankful to all of you who are our friends and our partners that pray and support CLTI as we reach Liberians all across the nation and beyond. In this new beginning, and in view of this Thanksgiving week, we encourage your generous donations to CLTI Ministry. “HOW WAS THE DINNER?” many of you might be asking. It was truly a celebration and a growth in partnership with 55 friends and family members. There was a variety of delicious food: the famous West African “Jolof rice,” plantain, rice bread and cassava bread, just to name a few. We ate and ate, and still could not finish it all. It was an all-you-can-eat style, and all accompanied by great music from a gifted young man, Minister Charles Sleyon. Thanks to Yah Buor and Jill Birch and their team of wonderful ladies for providing this delicious dinner! Mayor Andy and Barbara Cook from Westfield, Indiana joined us wholeheartedly for the evening. We thoroughly enjoyed Mayor Cook’s down to earth, but profound message. He started with the question, “How can we keep our young people out of trouble?” He told some great stories, but emphasized three virtues: Faith, Family and Community. It takes faith in Christ Jesus, and then the family and community working together. In the case of Westfield, it took the collaborative work of faith-based organizations, the Mayor’s office and the community to resolve the issues the youth faced in Westfield. In May 2018, Jay Skinner visited Liberia and helped to break ground for the new college preparatory high school. Jay spent one week, had a first-hand experience, worked very hard, played keyboard in churches, and then returned to the States with a renewed passion and dedication to give generously and serve. Here is a link to his online journal about the trip: https://www.journohq.com/journo/gompa-liberia-may-2018-21858. Currently, Jay is recruiting participants and setting up a men’s trip scheduled for June 8-17, 2019. Please call Jay to learn more about our short-term mission trip. There is some general info on our web site: https://cltinternational.org/planning-a-mission-trip-to-liberia/. It is time NOW to be making plans. You can reach Jay at (317) 922-7526 (cell) or at his email address: jbird123@aol.com. Secondly, we heard an inspiring story from a young lady, Aviva Snyder of Zeeland, Michigan. Ms. Aviva’s passion is our aquaponics project, and she is planning a short-term mission trip to Liberia in 2019 as well. She desires to work with the aquaponic project team in Gompa. Would you please join us to pray for this young lady for financial support and for wisdom. Our last speaker was Mr. David Ketchum. Mr. Ketchum is the President and founder of Mission Resource International. He is also a primary partner with CLTI’s entrepreneurship program. Dave challenged us to give generously. He made his first visit to Accra, Ghana in 1987. From this visit, he founded MRI, and for 15 years has supported small business development in Ghana. Great announcement from Dr. Buor: For friends who RSVP’d to join the dinner, but an event prevented you from coming, I would like to bring the dinner presentation to you and meet you face-to-face. Please give me a call, and let’s schedule to meet for coffee at location near you. 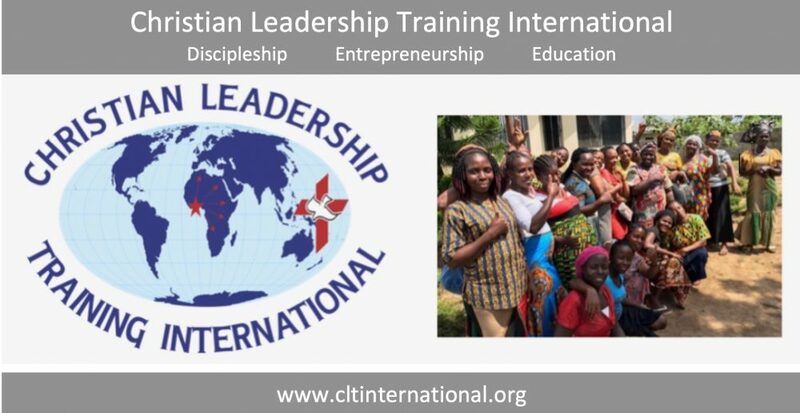 I want to meet you, and give you the opportunity to become a partner with CLTI in advancing God’s kingdom in Liberia. Please call me on, 317-660-5719 or 317-712-6811 or send me an email. Yah and I are on the road this Thanksgiving week to join our partner church in Holland, Michigan. This year, Christ Memorial Church will give a portion of their Thanksgiving offering to CLTI toward the installation of the aquaponics project in Liberia. This project, if completed, will allow us to grow fish and vegetables and provide a long-term sustainability support for the school and CLTI ministry in Liberia. Secondly, we are heading to Iowa to celebrate and raise new partners in Muscatine, Iowa. The schedule date is Saturday, December 1st, 1-4 PM. We invite all friends in Iowa to join us in the City of Muscatine. The address of our event is: 408 E. 2nd Street. Muscatine, Iowa 52761. Please RSVP to: Audra Diederichs, 563-571-0572 or Victoria Zarkpah, 443-563-0281. P.S. Enjoy more photos below! Bill Ellison and Mark Oehler visit over dinner. Mark is a member of the CLTI Board of Directors. Addison, age 10, with her dad. This was Addison’s first time at a CLTI dinner. Tonzia Buor did a fantastic job as our MC for the evening. Yah with LuAnn Boots. LuAnn is one of our CLTI volunteers.